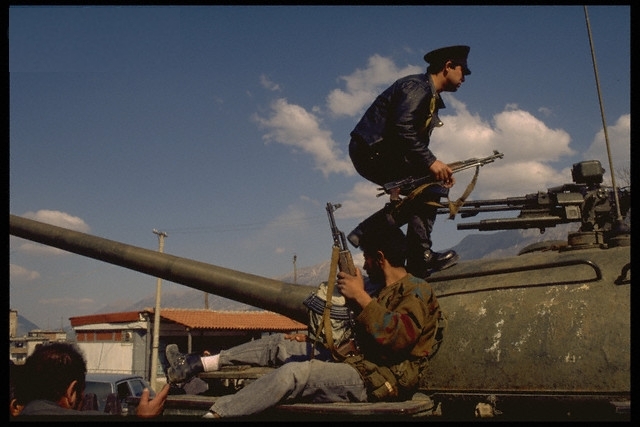 In light of the recent unrest in Albania, we release this analysis of the events in Albania in 1997 and the forces leading up to that revolution for the reader’s benefit. For the recent events, click here for an article from Al-Jazeera English. Video below. After the death of Enver Hoxha and the rise of Ramiz Alia, and later Sali Berisha, the Albanian Party of Labor and the socialist society that once existed within the borders of Albania began to break down. However, this did not bring positive change, as some elements of Albanian society had hoped. Consequently, the Albanian economy had come to a standstill, two-thirds of Albanian workers had lost their retirement, and eighty percent of schools in the rural areas of the tiny Balkan country were closed. The blood feud, which had been institutionalized through the Code of Leke, forced as many as 1,600 families to retreat into hiding. With today’s rampant anti-communism as portrayed in the mainstream world media, we will examine exactly what happened in Albania and why, and who was behind said measures. 1992 marked the official end of the People’s Socialist Republic of Albania. The economy was liberalized, based on a series of “get rich quick” Ponzi schemes and fraudulent pyramid investment. The total loss of funds amounted to 1.2 billion dollars, leaving working people and their families with their entire life savings wiped out completely, overnight. “The pyramid scheme phenomenon in Albania is important because its scale relative to the size of the economy was unprecedented, and because the political and social consequences of the collapse of the pyramid schemes were profound. At their peak, the nominal value of the pyramid schemes’ liabilities amounted to almost half of the country’s GDP. Many Albanians—about two-thirds of the population—invested in them. When the schemes collapsed, there was uncontained rioting, the government fell, and the country descended into anarchy and a near civil war in which some 2,000 people were killed” (1). 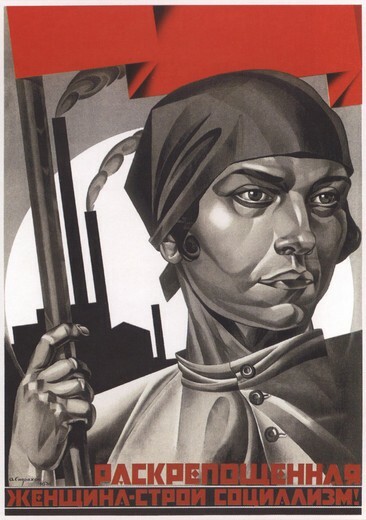 The new capitalist bourgeoisie class in Albania that had found its way into the government was able to take such predatory advantage of the Albanian people with ease, since “the vast majority of [formerly socialist Albania’s] population was unfamiliar with market institutions and practices” (1). 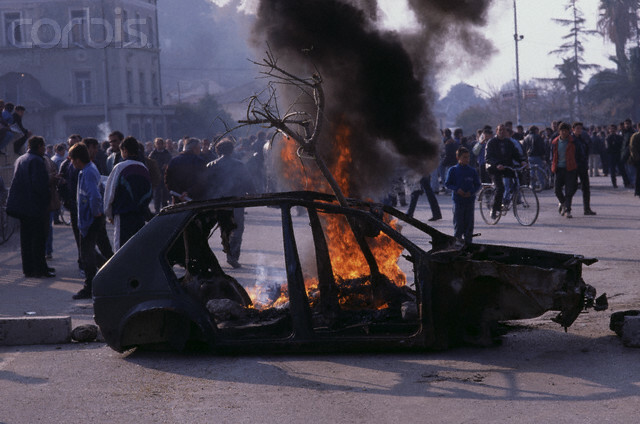 By March 13, all major population centers were engulfed in demonstrations, and foreign countries began to evacuate their citizens from Albania. 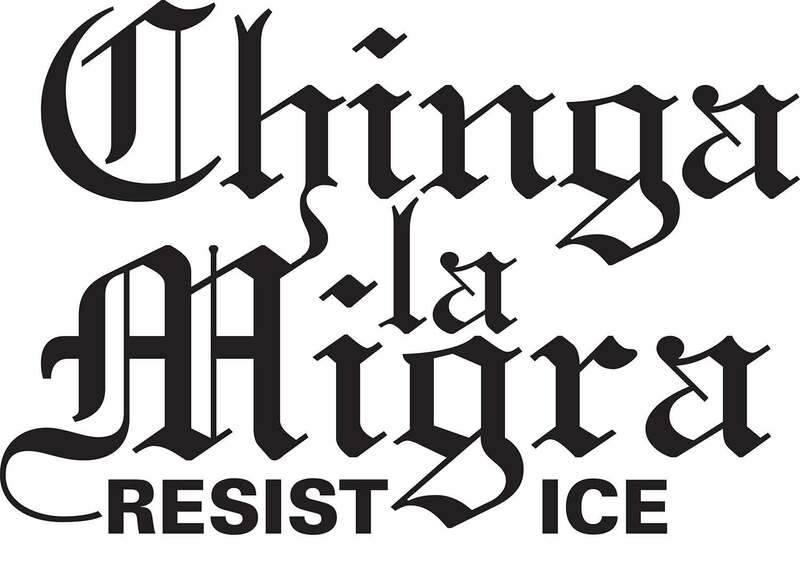 May 26, 1996 was a major spark in the upsurge of popular discontent, following rigged elections, involving both the Democratic Party, and the reformed “Socialist” party. As a result, police and government buildings were fire bombed. “In the three months of protests, the Albanian economy suffered a heavy blow as unemployment and inflation sharply rose, while the gross domestic product and the value of the currency fell” (2). 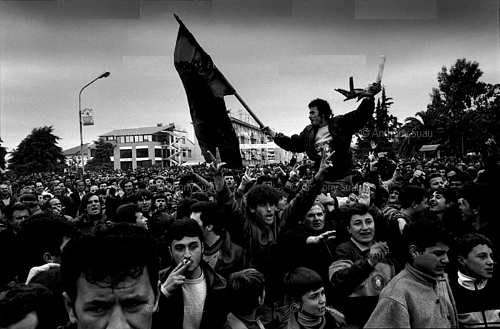 On January 24, 1997, thousands of Albanians took to the streets in the southern city of Lushnje. Protestors stole over 500,000 rifles and other arms from government depots. Foreign Minister Shehu was attacked by protesters. Revolutionary Democracy reports that, “In Vlora, control remained firmly in the hands of the Rebellion Committee. 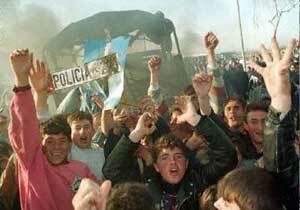 There was neither chaos nor looting nor arbitrary shooting” (3). Rebellion Committees were established all over the south of Albania, organized and built from the ground up. Officials who partook in the administration of these Committees were chosen directly by the people and anyone who wished to take part in the administration could offer to do so. The people reserved the right of recall to anyone who did not fulfill their obligations. According the previously-mentioned edition of Emek, a member of the Central Committee of the PKSH said that, “The resistance of the Albanian people against fascism in 1944 was declared to have been a civil war in which allegedly much blood was spilled between brothers.” To the outrage of the PKSH and the Albanian people, the liberation of the Albanian people from German and Italian fascism, which cost the lives of 28,000 partisans, was no longer a national commemoration. The newly-installed capitalist government had taken extraordinary measures to convince the world that Albania’s population would be more than happy to erase all acknowledgment of socialism and Enver Hoxha from its history. 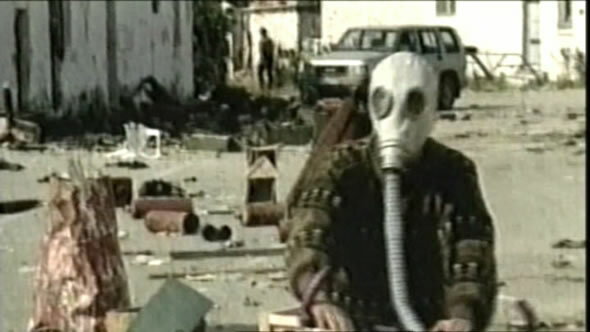 On April 10, 1997, The Communist Party of Germany’s publication, Roter Morgen, issued a statement warning that detailed talks between Albania’s Prime Minister and his Italian colleagues could lead up to a foreign military intervention in the name of restoring order throughout the country. 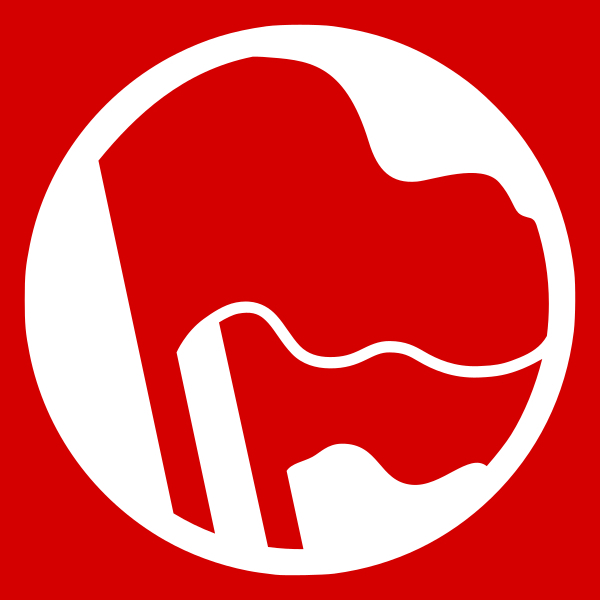 As a response, the Communist Party of Albania issued the statement “Hands off Albania!” which was then immediately endorsed by many communist parties. 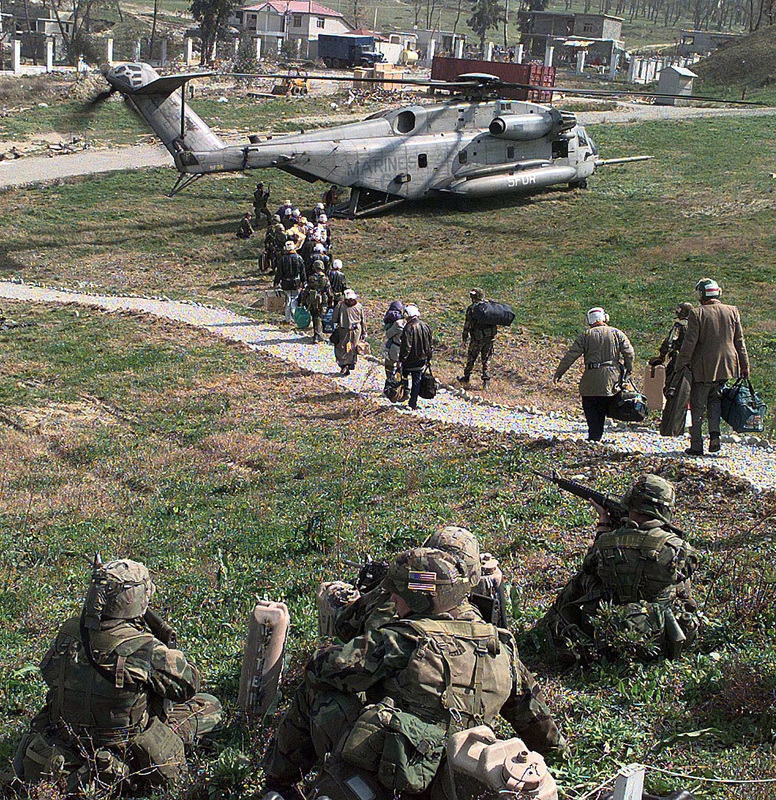 A NATO joint operation and military intervention in Albania, dubbed “Operation Alba,” was authorized by United Nations Security Council Resolution 1101 under Chapter VII of the United Nations Charter. 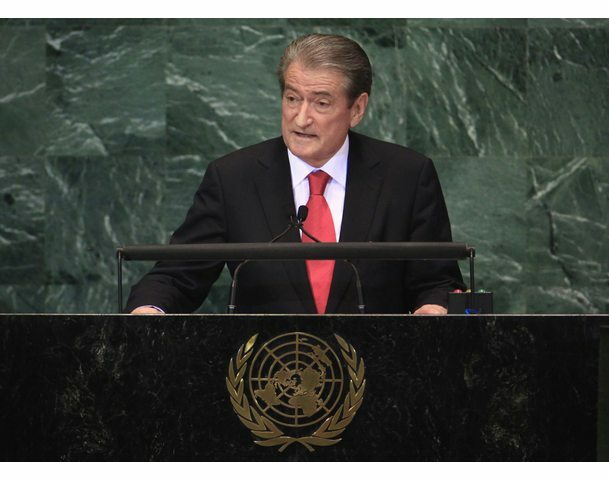 This was done at the request of the besieged President Sali Berisha. The troop count was as follows: Italy 2,500, France 1,000, Greece 700, Turkey 500, Spain 500, and Romania 400. “According to an article in the New Worker dated the July 4, 1997, upon the replacement of Sali Berisha by Fatos Nano he, ‘reassured the European Union that he will continue to support the market economy and the restoration of capitalism in Albania.’ In the same issue of New Worker, the writers added, ‘The Albanian Communist Party which led the revolt, remains loyal to Albania’s revolutionary traditions.’ And as a member of the Central Committee of the Communist Party of Albania puts it: “This uprising will bring our people numerous experiences and self-assurance. A people that lived for decades under socialism and places great importance on independence will not put up with everything” (3). “In 1985, after the death of Enver Hoxha, Ramiz Alia was chosen as the First Secretary of the Party of Labour with just a one vote majority. With great difficulty, after this time, to sweeten the alternatives to the communists and to the people he began a process which in time was to have bad consequences. At first he began to speak every day of Enver Hoxha — not to promote the life and work of Enver Hoxha (because the people knew what Enver Hoxha stood for) — but to firmly associate himself with Enver in order to create support for his future actions. During this time, he erected many statues of Enver Hoxha, in Korca, Tirana, and other cities and also named various organisations, places and enterprises after him. After this, he began to undertake certain actions. Every weekend there was a requirement to do ‘voluntary’ work and yet during the week there was little work to do because of the liberalising of the organisation of work. Despite this, voluntary work still had to be done all day on Sunday. So, Ramiz Alia became unpopular and had little authority. In 1990, he wrote a book and began to give interviews to People’s Voice where he said, ‘I have begun this process and taken it step by step in order not to create contradictions and clashes between the revolutionary and counter-revolutionary forces’. I tell this story to illustrate clearly that Ramiz Alia has been an enemy of the Party of Labour, and was not a follower of Enver Hoxha, but rather the enemy of both the Party and of Enver Hoxha.” “Ramiz Alia is viewed by the people as a revisionist. 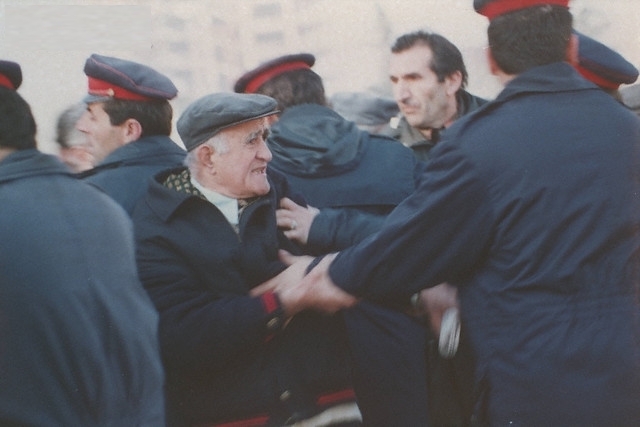 During the gatherings where the people rose up against the vandalism of the counter-revolutionary forces in Tirana — when the statue of Enver Hoxha was pulled down — thousands and thousands of people thought that Ramiz Alia had betrayed them. This was the perspective of the people as far as Ramiz Alia was concerned.” (4). It becomes clear that the counter-revolution in Albania was not exactly taken lightly by a good amount of the population. 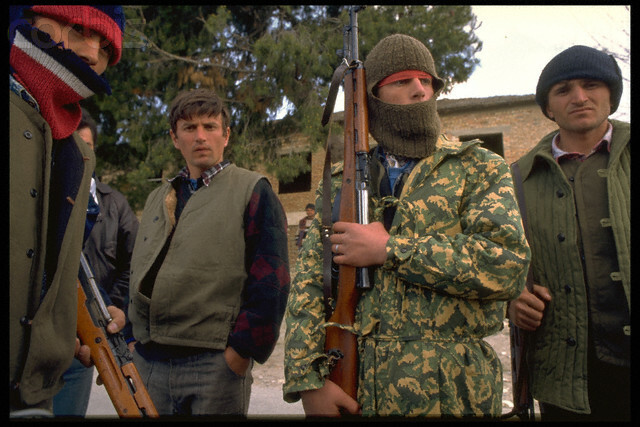 As has been shown above, many workers decided to take action and arm themselves in order to fight for the re-establishment of socialism in Albania. 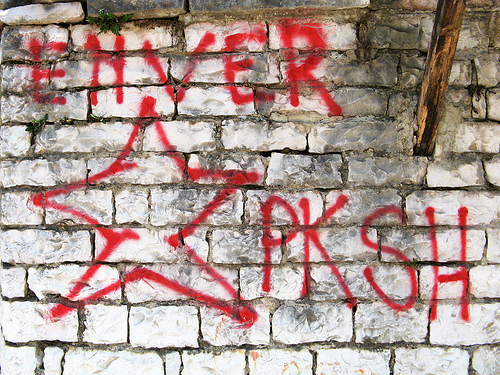 Even today, the communists in Albania work to defend the legacy of Enver Hoxha, as well as the progress and social gains that had been accomplished during his time as General Secretary of the Albanian Party of Labor.